Those Who Cloth Diaper Should Teach! Imagine our pleased surprise to see that Eastside Library in Spokane, Washington will hold a free class on diapering this weekend. With the rising advocacy for cloth diapers connected to green concerns, it's great to see a free community event is available to people in that area who want to learn more. Even if parents ultimately decide not to go cloth, that the opportunity is there for learning the ease of use and economical benefits gives me hope that perhaps other communities will take a cue from Spokane and offer similar classes. Are removing stains worth risking the warranty? I'll spare you the puns associated with the dirty job of cleaning cloth diapers. We have all heard them more times than we care to remember, and if we had dime for every time, we could hire somebody to come in a few times a week and do it for us. We have also covered the basics of spraying, dunking, and washing, but ultimately you'll wonder why some stains are more difficult to get out than others, and what can be done after you've exhausted your main options. My grandmother lives in a lovely Alexandria, Virginia suburb a few miles from Mt. Vernon. It's a wonderfully historic area, the kind that comes with its own juicy gossip dating back to the 1700's. She's fortunate in that she bought the home as a young woman and hung onto it while the military moved her around the world - and let me tell you her little neck of the woods has been discovered. One need only peek at her tax bill to understand. A question came in today about cloth diapers for overnight use. Of course, cloth is a viable option for long nights in the crib. Think about it, our grandmothers and their mothers had to use something to dress babies in at night to keep them dry and fresh as they slept. I think part of the reluctance to switch entirely to cloth among disposable diaper users rests with overnight usage, although I don't see why that mindset has to keep a mother from trying cloth in the wee (pardon the pun) hours. Think about it: how many times do you change your baby during the day? How many times do you check on your baby at night? If you smell something, you're going to make a change regardless of whether or not baby is sleeping, yes? Given that it is possible to change a sleeping baby, the idea of using cloth for overnight purposes shouldn't be daunting. Yes, the question of what to use in the stretches when you finally get to sleep yourself do arise, and you'll find the options available to you work just as well - if not better - than throw-aways. Budget Friendly Gifts for the Mom to Be! 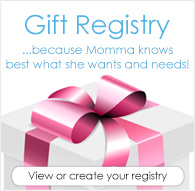 Don't just jump on the gift registry bandwagon! Read these helpful tips and suggestions for eco-friendly and budget friendly baby shower gifts that the mom to be will love and may not have thought to ask for! FAQ: Where do I store my dirty diapers? Do cloth diapers make you glow in the dark, literally? I'll tell you right now, Carrie and Samantha and those other gals can keep their Fashion Week in NYC...for the mom who's looking for something that truly speaks to style, the latest designs from the major cloth diaper companies are really creating a buzz! Why Does My Diaper Pail Stink? No matter how wonderful your cloth diapers are, there is one thing that we can never really improve on by making awesome cloth diapers—the fact that urine and poop stink! Yes, of course, when we wash our baby’s diapers, they come out fresh and clean, but you can’t pop every diaper into the wash immediately. In the real world, your diapers will get washed every 1-3 days which means that dirty diapers will sit and wait for 1-3 days. About a week ago we posted a link of interest about a group of grandmothers in Utah who volunteered to make cloth diapers for needy moms in the area. A friend had sent over the link, so we didn't delve too deeply into the site, just reading enough to get a gist of the issue. What we hadn't realized at the time was that this one article is a small part of a continuing debate over cloth versus disposables for low-income families in Salt Lake City...perhaps everywhere since it is a topic that affects communities nationwide. Doing a search on diapers on the Salt Lake Tribune site yields letter after letter either in support of cloth donations to shelters or defense on the use of disposables. Just reading some of the letters makes it clear that parents, whether or children still in diapers or now grown, are quite passionate about the side they choose. “We’re using reusable diapers, you know!” my trendy sister said to her soon-to-be-husband as she snuggled up to her only niece who also happens to be my daughter. One can argue, for the expectant mother, that turning immediately to disposable diapers is immediate because it's thrust upon them from the start. While one might find cloth diapers in specialty baby stores and online, disposables are stacked everywhere at Target and grocery stores and convenient markets, and in the hospital your baby is likely dressed in a disposable cut for newborns. They are the first thing a new mom sees, so by that logic it's what they use. Is it possible to make a smooth transition to cloth without tearing out your hair and giving up when the going gets rough, and messy? It is amazing how many things change over time; tastes, personalities, preferences, etc. The same is true about cloth diapers. Not only have diapers changed from basic prefolds to what they are now, but I am talking about how people grow and their personal taste in preference of diapers change with time. Have you seen the brilliant, bold designs offered by bumGenius! and Chelsea Perry for their Tiny Socialite Collection? We've had a look and think they are absolutely gorgeous. The prints are wild and colorful, and word around the office is that they look perfect for boys and girls to wear. We've discussed on the blog before about gender issues with cloth diapers, with some public opinion wishing for more "masculine" designs, but here we think bumGenius has a good handle on cloth diaper fashion. Right now, we're starting a wait list for the one-size and the elemental cloth diapers, so be sure to stop by and add your name so we can let you know when they're ready to order. Are we the next generation? Ah, the good old days...seems every generation has an amazing story to tell about how their own personal ingenuity and perseverance helped make life a bit more pleasant, even in times of adversity. We may roll our eyes when our elders play the "I used to walk in a blizzard, up a hill, both ways to school" card, though lately the old days of hardship are probably more defined by memories of using (gasp!) dial-up Internet and rotary phones.